WordStream is a online advertising software platform built for small to medium sized businesses with step-by-step guidance on how to get more leads, customers and revenue quickly from paid search and paid social advertising campaigns. "We use it to maximize our advertising spend"
At first, the process seemed easy and convenient. It is nothing but. There is nothing to help you monitor your ads efficiently in a way that actually saves your business money. What happens is that the software and the consultants become an additional expense and the amount of "experimenting" they do is just recklessness with your marketing budget. You end up spending more time monitoring the software than just if you left your adwords account running without their help. Their staff is friendly but lack business sense. There is much room for improvement. Things easily get out of control with their service. Without looking for a few days, their software automatically does absurd things for your business like raise CPA to ridiculous amounts without prior approval. BEFORE WE USED WORDSTREAM, OUR ADS WERE PROFITABLE. After signing on with them, their software and consulting expertise has cost us thousands of dollars with no chance of getting out of the contract for several more months. Be wary of any ads service that locks you up for 6 months and more, refusing you any sort of trial. Their demo staff also kept on overpromising and their service has been seriously underwhelming, to say the least. Consider carefully. Perhaps Wordstream is more beneficial to larger businesses. Small-medium businesses, stay far away. There has been no business problem that they solved for us. They merely restructured our account and have been spending our ads budget recklessly. I have never been so angry and disappointed at a service charging such premium rates before. Their software and service is merely a smoke and mirrors type of enterprise, and for small businesses, their services are an unecessary and burdensome expense. Perhaps if you are a larger business, they may do a better job with their higher paying clients. Unfortunately, we not only derived 0 benefit from their services, we have lost precious time and money and will continue so. Hi Christy, a manager on our customer success team is trying to connect with you to help rectify your situation. We would love to work with you to get back on track. The main reason for your CPA change is because you changed your conversion tracking to measure order completion instead of simply starting an order. This doesn't necessarily mean that your account performance has changed or gotten worse, it simply means that you are measuring it differently. I hope that helps! UPDATE: Christy has been let out of her contract and refunded for recent charges. What Search Advertising solution do you use? "Subpar Software, Incompetent Staff, Rediculous Contracts"
The reason I let their high pressure sales tactics lure me into signing the contract is they promised the software would improve ROI and be easier to use then the google platform.. It's not actually easier then the google platform, especially adwords editor. I didnt even know about editor, part of the reason why I signed up for the consulting. It wasnt until I threated to cancel they actually gave me a somewhat competent consultant, and as soon as I tried editor I realized why they were trying to hide it from me.. So aside from the staff sucking, and the software being terrible for creating new campaigns because they haven't even adapted it to all of Googles new functions, one promise is automated suggestions to optimize your account. I stopped getting these suggestions after the first couple weeks then the few I got were completely worthless. ^^^^^1 word to describe Wordstream? GIMMICK. Simply don't do it. They will steal your money. It didnt work for anything they promised it would. If there are any issues at this point it's the fact they lock you into a contract (because they know youll want to leave when you realize how bad it is). Zero benefits whatsoever, with the exception of their exceptional free learning materials (that you dont have to pay for. Stuff on the "Customer Portal" is no different then the blog for the most part. Hi Chris, While the Google Ads Editor is great for restructuring and campaign building, it does not perform the same tasks as WordStream Advisor. Our tools run off the data you have accumulated in Google Ads to help you find ways to optimize your spend for conversions. After you paused your campaigns, the algorithms had less and less data to work with. Our team has reached out to you proactively and persistently to help. Regardless, we are happy to hear that you have found a tool you are comfortable with. Best of luck! "Demystifying and Simplifying Our Google Ads Experience"
The most helpful and biggest upside to using WordStream has been our twice monthly calls with our dedicated customer success advisor Kyle Taylor. Before using WordStream, one of the most frustrating experiences with Google Ads was the constant rotation of reps; it was difficult to build a relationship and communicate our business' goals when we'd be dealing with a different person the following month. Kyle has taught us more in these past 3 months than I'd learned from the Google reps in twice the amount of time and we've actually been able to see measured results from his advice and counsel. The main downside to using WordStream is that not all of the features in Google Ads are available through the WordStream site, so I am constantly toggling back and forth between both platforms while working on our Google Ads accounts. Absolutely give it a shot, using the trial period, and scheduling a call with their knowledgable consultants to see if it could work for you! We knew right away that this was exactly what we were looking for in order to optimize our advertising spends on Google Ads, in no small part due to the support received from the team. The main business problem we've addressed with using WordStream is optimizing our Google Ads spend. Kyle has helped us re-structure our account from the ground up in a manageable way and is constantly accessible via email in between our twice monthly meetings. We've absolutely realized benefits in a more effective spend and also a lowered cost per conversions. "WordStream is a life saver!" WordStream makes it so easy to understand and analyze your performance for Google Ads. With or without being knowledgeable in PPC, WordStream explains what every little piece of data means and how to improve performance based on the data. As someone who has many job duties, not just search, WordStream has made it easier to keep up with 10+ active campaigns and make great weekly optimizations in a time crunch. I can't thank WordStream enough for how helpful it's been in my workload and educating me on more PPC capabilities. WordStream doesn't have YouTube ad capabilities. I still have to frequently use the Google Ads platform to set up campaigns because the native platform makes that process easier for invoicing, budgeting, and payments for my agency's internal processes. I balance between 2 job types within my agency and my plate is always over flowing. Before WordStream, I was struggling to find time to analyze each active Google Ad account and make optimizations. Now with WordStream, I can knock out optimizations for a few accounts every day and eventually by the end of the week my Google Ads are in tip-top shape thanks to their 20 minute work week. The second biggest benefit is the reports you can run to help internally improve the performance of Google Ads or to use them to show to clients how their ads are performing. The Google Ads grade report is extremely insightful into how to improve the account overall and keep your Google presence healthy. "User-friendly product that saves so much time"
Everything! Their customer support is amazing, knowledgable and very fast in their response and when any issue is raised, they are right on the issue. The platform and interface is very user-friendly, the platform saves so much time and the changes there are implemented right away. Another great thing is that I don't need to be switching between Google and Bing but do it all from Wordstream. Also, Wordstream provides very easy and valuable reporting that can be created on demand or on a recurring basis. All in all, Wordstream has helped our company a lot to clean up the account, optimize it better and find new opportunities for growth. It can be a bit pricey but after you start working with the product it really increases your sales thanks to the amazing support and saves you tons of time and manual work. The product might seem to be slightly expensive in the beginning but it will prove its value over time. Give it a try! How to efficiently optimize the account, where we are wasting money and how we can distribute the budget better, Wordstream also provides very easy reporting. The 20 minute work week is a huge asset. I do PPC and SEO for a number of clients and especially on busy weeks, having a tool where I can go in and touch all of my accounts quickly is a life saver. Honestly to this point I've had no issues and no complaints. Integrate it into your weekly routine. I still use a variety of tools as well as working my accounts through Google directly. Wordstream is a great add on tool to automate and make your week easier. I'd say the biggest problem I'm solving is just to quickly improve some of my clients. Look, obviously I like to go into my Ads accounts in look through my accounts in depth. But, having this tool which allows me to go add suggested keywords and negative keywords, make bid adjustments, review ads etc, has been a huge help. "Google Ads with a Usable Interface"
It's to no fault of WordStream, but I'd love to be able to schedule changes to go live at specific times. We pause the ads often when we can't keep up and it is a little tedious to constantly set calendar reminders for myself to make adjustments like pausing for vacations. The price for WordStream pays for itself with the quality consultation and guidance provided. I was definitely hesitant when I saw what it would cost, but the optimization techniques and strategies have gotten our CPA down about 60-70%. Most of all, WordStream helps you get from point A to point B in a much more direct manner. The software is much easier to use, and UX was taken heavily into account when it was developed. WordStream has helped save tons of time and allowed me to focus on other areas of the business. WordStream mines the performance data of your account and serves up recommendations to decrease cost per acquisition and improve performance based on best practices. While Google Ads does give recommendations, the WordStream tools, such as QueryStream make finding and adding negative keywords quicker and easier. I'm able to spend just 10 minutes a week doing this instead of hours. I wouldn't say that it's something I dislike, but I'd like to see more customizable reporting options. Their reports are really informative and help visualize the data, and I want more. I'd also love to see them expand their New Business product. If you're at the point where you're thinking of adding a new team member but aren't sure if you have the revenue to support it, then it's probably time to consider WordStream. Time and resource constraints are solved with WordStream. We're able to deliver great results (maybe even better results) to clients in a fraction of the time. Which means we can now spend that time doing other client work. It also helps with new business pitches (if you purchase the New Business Center add-on). You can link a non-client's account and do a quick audit and WordStream generates a pitch deck that you can use "as is" or download and edit to use piecemeal. This has helped us to create compelling new business pitches in shorter time. Most of the stuff I do with Wordstream (scanning for new Negative Keywords, optimizing bids based on average position, getting rid of underperforming keywords) I was already doing in AdWords before I started using Wordstream. The difference was that Wordstream made it quicker to do. One of my favorite things about Wordstream is the feature that allows me to add a new negative keyword to all 16 of my Ad groups with one click. You just can't do that in Adwords so that alone saves me huge amounts of time. But probably the most value I've gotten from WordStream is from the live 30-minute phone calls with my account rep. I would say I learned 90% of what I needed to succeed with Adwords through trial and error. But my WordStream rep took me the last 10% of the way to truly optimize my spend. Essentially, they play the same role as the Google account reps are *supposed* to play. The difference of course, is that the Google reps always try to talk me into spending more money, and the WordStream reps truly optimize my account and often save me money while increasing my conversion rate. Not much. Sometimes I forget to "Post Changes" to Adwords after I use the WordStream interface which leads to duplicate efforts the next time. It would be nice if that were done automatically. But let's be honest, that's more of a user error than a software deficiency. If you're spending more than $1000/month on Ads, the $300 WordStream subscription is most likely worth your investment as it will pay for itself. If you're spending less than that, it may or may not be worth your money. AdWords.I've trimmed about 10% off my overall ad spend, while increasing conversions on my site by 10-20%. "Better than an average PPC Management Agency, and lower cost too"
The multiple Platform management is great, anything you apply to Google can also be rolled out across Bing and Facebook. The suggestions are intelligent, and the 20 minute work week makes it possible for me to find time to manage my PPC account. Nothing really to dislike about this service. It's great that you're getting a data-driven set of recommendations rather than someone's opinion. In my other experience with more 'human' rather than 'software' driven ad management companies, you're dependant on someone getting on and doing something for you to get ROI, whereas the software always performs :). Occasionally the suggestions are a bit robotic, but you can choose to ignore those ones, and to be honest, the agencies i've worked with in the past can be roboting and lacking in intelligence too! Wordstream allows me to combine my knowledge of the market and what various search terms mean, with very reliable machine-generated data. It is excellent at highlighting where I'm potentially wasting money, and where I'm potentially missing out on more relevant clicks. Wordstream is very easy to use and winnows down some of the limitless options and columns in the Google Ads platform to easily understandable and actionable recommendations and views. Occasionally there are changes and updates in Google--as far as ad layout/functionality that are not immediately available in Wordstream. This is a very minor inconvenience and Wordstream regularly notifies customers of updates and availability. Before purchasing Wordstream I enjoyed their free emails and reports. They did an amazing job of building their credibility so I knew to expect really quality support when I decided to purchase. I was trying to decide between attending a training for intermediate Google Ads users to get more information on how to get more from what I already knew, but really wanted those 1-on-1 moments where I could ask someone who undestood my account exactly what to do next. It's been very helpful to take my knowledge (I am Google Ads certified) and give it a boost exactly where it's needed. I am the only person at my company who does anything in google ads. I was able to learn all the functionality on my own through google's training and other online resources. I was at a point where I really just wanted a person who I could ask, for each specific situation, "What do you recommend?" --both as it applies to optimization and regular maintenance. The combination or premiere consulting and the 20-minute-work-week give me exactly that. I'm much more efficient. The interface is very good and also appears to display data that Google doesn't... or it's so buried in the AdWords interface I've never found it. Super easy to use and exponentially faster than managing through AdWords. The 20-minute work week is fantastic for gradual campaign improvement. And last but not least, my campaigns are delivering greater efficiency than before. Not only is it easier and faster to use, but creates better results. Support and onboarding is among the best you will ever use. Their team seems motivated, happy, and they are all about patience and support. Outstanding people. Highly recommended. the product delivers on its promises and the support and onboarding is outstanding. My negative keywords are far better; WS does a great job finding new negative keywords from actual queries. I am also finding new search keywords through the same query analysis. My ad creative has improved using their best practices checklist and list of top keywords. Having them on the same screen as the ad form is extremely helpful. Generally speaking, WS has helped me do a better job of delivering on my promise to clients: that their campaigns will see increased efficiency and effectiveness each week. "Wordstream successfully soft launches a newcomer to digital ads "
We signed up for the consultation services with our overall package. The consultants are experts in digital ad strategy across Google, Bing, and Facebook. The consultations help us take our ads to the next level. Pretty exciting when we can take a successful ad and make it even better. Digital Ads are complex and sometimes the WordStream team moves so fast to help your ads perform, it is hard to track what they are doing so you can replicate it with the next round of ads. But they are always there to return to with questions. The 20 minute work week simplifies the conversation rate optimization process week after week, but you do need to understand what those changes and recommendations mean to apply them correctly. Wordstream provides excellent bandwidth for Ad management which can be a full-time job itself. The weekly consults with our adviser have yielded benefits by allowing my team to become better educated in the nuances of managing these efforts. We'd had quite a bit of experience but have learned a great deal from him. Within the first few weeks, we were able to save enough in expenses, while keeping the same level of results, to cover the cost of the contract. Modifying these campaigns takes time and, unfortunately, I'm impatient. The process does take some time and is better in the long run. Pay for the personalized consulting. We have found the scheduled weekly calls have been very valuable. We are seeking more cost effective measures in our social medial / digital advertising usage. With our discussions with our adviser, we've been able to cut our costs substantially while maintaining a steady stream of strategically targeted inquiries. "They say Online Advertising Made Easy (It's True)." Their platform is the absolutely best way to manage Google ads, especially if you don't have full-time staff committed to doing so. There is no reason to spin your wheels and spend hours searching for the right adjustments to make. Using WordStream, we spend about 10 minutes a day on our Google ads and we are able to see pay-offs with that amount of time. Customer service is top notch. I find my one hour call each month to be very valuable. Zachary is obviously very knowledgeable and can make improvements to our account with ease. We usually discuss things I can do in between calls as well, which I find helpful. Wordstream also offers a lot of professional development and market intelligence via Webinars. I wish I had more time with our consultant because his expertise is so valuable to me. And I wish you could do more than one 20 Minute Work Week per week. They keyword suggestions could use some work. They are not usually relevant to my industry. Consultant does a good job of thinking of keywords though! Listen to your consultant. Learn to see opportunities in real time and make adjustments as needed. Make it part of your team's routine to check WordStream daily. We have a small advertising budget, so every penny we spend needs to matter. Our CPA was reduced by 28% in the first month of using WordStream. Now as we bring more campaigns online, we are confident that our structure is sound and effective. The ROI is there. "User Friendly Software Makes Paid Ad Management Achievable for Small Businesses"
The WordStream platform is a very thought out software program that strips away all the confusing and complications elements of Google Ads, and provides an easy to use system for managing your ads. They have created a system that makes managing ads simple for the every day marketer/advertiser. Their Premier Consulting is also very helpful for those looking to bounce ideas of an expert and/or get more personal guidance and assistance from WordStream. Lastly. the company as a whole is exceptional at educating their clients about the latest in paid advertising. I am constantly learning and looking to WorStream to provide me with the newest Google changes and updates. My only complaint is that they do not offer YouTube advertising at this time. I hope this will be a feature that will integrate with the system in the future. If you are looking to manage your paid ad campaigns in-house, this tool is a great resource. WordStream helps you manage your ad spend, adjust and/or write new ads and meet your goals all in one easy to use online dashboard. If you are using multiple paid ads like Google Ads, Facebook and Bing, they can all be managed in one place with WordStream. WordStream has allowed us to bring our paid advertising efforts in-house and given us full control of our account, while also providing us with the confidence that we are managing the account properly. "More comprehensive and profitable advertising campaigns"
When you use adwords without any help software it is quite complex to create effective campaigns in which your profitability is high, since you have to review too many parameters. Wordstream helps you find the best keywords, which have a greater impact when marketing your product or service, it also helps you make changes to your ads reviewing which spends more money, which is more effective. You can visualize more deeply the details of each ad and that is what I like the most, since you can see the results they have and adapt or modify them to improve your ratio. I think that WordStream lacks some options to be able to focus more on improving the CTR and also reduce the CPA, since these actions are very relevant for the campaigns and if it had within the software superior personalization options in these aspects, the campaigns would be still more effective. Advertising and marketing campaigns are necessary to increase the number of clients and also to retain the ones you already have in your company, so a tool like Wordstream that makes your campaigns more attractive is a good way to improve the marketing area in the company. It has helped us reduce the cost of our marketing campaigns thanks to the optimization we have obtained using the tools available to increase the benefit. We also know how to use the keyword system better and with this, we expand the reach and number of clients we attract with our campaigns, since it is really important to use and manage the keywords that are used and in this Wordstream helps a lot. Also note that the interface available Wordstream is quite intuitive, simple and that saves us a lot of time when making a campaign and save time when you work with advertising is key in a company. "I am improving results while being given unlimited learning opportunity"
What I really like is I am given the opportunity to not just be hand-held but there is so much information to learn from. Available webinars and being able to solve issues while I am working on it. I have learned more working with WordStream in just 3.5 months than I have on my own in 12 months. I think there should be more time set up with advisers. I think the entire system is great, but there is just not enough one-on-one time and because of that and my impatience, I am constantly looking for more ways to learn and improve on my campaigns. Give it a short-term commitment and really work this system. If you even just do the min. of the 20 min. workweek and nothing else, you will see significant improvement. More on-line traffic. Just knowing now the importance of keyword management has actually benefited me enough to make doing this worth while. "Best PPC/SEM Program I've ever used!" When I was getting started, I had a call with a customer service rep, Nicole Nesbitt, who walked me through the entire program, showing all the small things that were hidden Wordstream or not on the main pages. She also walked me through the Customer Hub, which is where you can learn anything and everything you could ever want to learn about PPC/SEM. This area would be enough to turn a complete beginner into a marketing mogul. Where Google tries to get you on the phone to help you...spend more money, Wordstream reps are there to help you save money and get the best results for the price you're already paying. There are helpful tips all throughout the program on how to best comply with Google's standards. For example, when creating ads, there is literally a checklist of Google's "Best Practices" and a short list of tips to help you create the best ads you can. Wordstream wants to succeed, and that is what I like the best. Is there anything to dislike? I wish it had even more tools! But I heard something the other day from Seth Godin, one of the godfathers of modern marketing, that 'it's better to do better than to do more.' Wordstream is great at what they do, which is PPC/SEM management. While I would love to see added features like post scheduling and stuff like that for social media, that's "more." Wordstream should only work to get better at what they are already great at. There is nothing about Wordstream I dislike. If anything, it's that I'll never like another program. 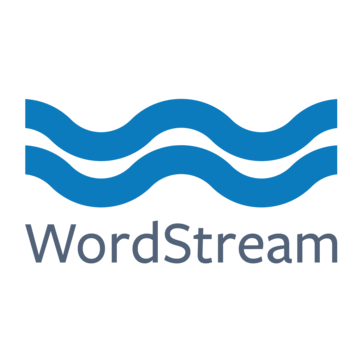 Wordstream is, by far, the best program I have ever used for PPC/SEM. The Customer Hub will give you any information you could ever need, they have webinars going on all the time. If you ever have questions, they have a live chat going on with real live reps so you're not talking to a robot, or you can always schedule a call and have a rep spend 30 minutes to an hour going over whatever issues you are having, whether that's Wordstream or Google Ads questions! Wordstream has sped up our PPC workflow exponentially. We have been able to cut the time we spend on checking all our accounts down by 50% or more due to the 20 Minute Workweek. Not only does the program save us time through the power we have, but also through the sheer speed of the program. Google Ads is great, but with Google giving all their products face-lifts, they have really slowed down. Wordstream remains quick and speedy. I can log in, quickly click through all my accounts, quickly create beautiful PDF reports that I can send to the client. I love how easy Wordstream is to use. I have been engaged in PPC for a while, but this software has helped me to easily coordinate all of my efforts and spending. My advisor, Bonny, is wonderful to work with. She is patient, yet pushes and encourages me to look at things in a new way. There is nothing I don't like about Wordstream! PPC is a confusing world. You can spend endless amounts of time staying relevant and trying to figure it out on your own, or you can spend a little extra a month, and have the team at Wordstream keep you informed. I had been considering making the change for a while, and I am so glad I finally took the plunge. My spending is considerably better, and I am making more conversions. I am actually saving money with Wordstream. I went from spending thousands with little return, to doubling my efforts in just a few days. This tool is amazing, it has been able to take my existing campaign that I work full time on and help me to strategically organize it with speed vs. using the Adwords or Bing Editor. In combination with a trained advisor that I meet with every other week, it allows me to enhance my skill set, in turn, lowering my spend with a more accurate return. I really don't have anything at this time that I would say I dislike other than would love to see more focus around display advertising as well a more enhanced ROI tool that I can upload my leads to conversions and get the 20 minute work week to help better define what is working and what is not. If your looking for another way to look at your data and quickly optimize I would totally recommend this solution and definitely suggest adding at least 2 hours per month to consulting time. Reduced Clutter and organization of the entire campaign to evenly spread the daily budget with an effective result in higher valued leads with lower CPA. "I wouldn't do Google AdWords without WordStream"
WordStream is user friendly and easy to implement. We were up and running within a few days. The level of support we receive is absolutely phenomenal, from just starting with the basics to advanced and strategic planning. One of the best benefits of WordStream is the ability to maximize our ad spend on quality traffic. Once we optimized our account with the recommendations from the 20 minute work week, we saw our traffic increase and spent less money. I have only been using WordStream for a few months, so I don't have any dislikes. I do not anticipate having any dislikes in the future, however I will update my review if any come up. WordStream is easy to use, easy to implement, and definitely worth the investment. Their content is great and I have been researching them for quite some time. Once I did the website grader, it was apparent that we needed help. Since signing on with WordStream, managing our ads account is pretty much effortless. The best part, we are spending less money on our ads and the quality of our web traffic has increased. It's a win win! WordStream has allowed my team to have a better understanding of Google AdWords. Plus, the 20 minute work week option has saved so much time and is easy to incorporate into my weekly routine for checking the pulse for my ads. Before WordStream, my team was struggling with managing AdWords and now we are able to save money and increase the amount of quality traffic. "An Excellent Product & Service"
WordStream is very easy to use and makes it simple to manage all of the various accounts with which our agency works. The weekly recommendations pick up on some nuanced details within the keywords that may have taken longer to spot otherwise. The process of splitting ad groups is fantastic and decreases the amount of time that process would take by a large margin. 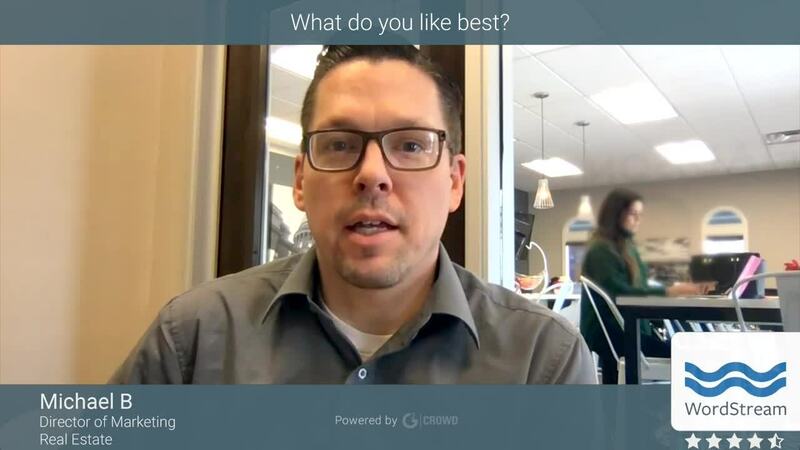 Advice provided by our account specialist is also incredibly helpful and even better than the insight we generally get from Google reps. Christopher really takes the time to dive into each account we present him with and carefully listens to the unique situations faced by our clients. His thoughtful advice has proven to be continuously on point. Some of the weekly recommendations can be off target or do not make sense for the different campaign types. For example, I keep getting recommendations to add sitelink extensions to a Call-Only search campaign. It would also be helpful to see more business/industry categories within the business profiles. Sometimes the top level industry selections can be too broad of a comparison in the monthly reports. If you are managing multiple PPC accounts or are new to paid marketing, WordStream is a valuable asset. Between the knowledge base, toolset, and expertise of the employees, WordStream is a huge help. Primarily, WordStream provides a centralized platform that allows us to manage several different ad accounts across Google Ads and Bing Ads without having to jump from dashboard to dashboard. It also makes the process of writing ad copy simpler. "Easy to Use System with Fantastic Consultant Support"
I find the google adwords interface somewhat intimating and complicated - wordstream takes all of the confusion away and clearly shows the data you require, it also has the QueryStream function which will revolutionise your keyword administration. Nothing to dislike as such - there are a couple of issues like time difference and some aspects that you have to still control in Adwords rather than Wordstream but these will improve in time I imagine. It is worth paying the extra for the personal consultant support if you are unsure how adwords works in anyway. As a general practitioner, for me AdWords (or now Google Ads) is overwhelming and the documentation Google provide is not intuitive. WordStream software and articles finally made sense to me. It had been years since I had actually implemented an AdWords program, rather than manage the efforts as part of a whole campaign. That meant I basically knew how to login and enter a credit card number. It's a whole new science and now as a marketing team of one is difficult to tackle and devote the time necessary to understand the nuances of PPC. Wordstream makes it possible for a one person team to get this running and running optimally. Outsourcing to an agency was not really an option. One, because our spend level wasn't enough to appeal to an agency with a proven record. Two, because of the time getting an agency to understand our business. I added the consulting where I have 30 minutes twice a month to walk through challenges and setup with a PPC expert. If you don't have time to learn every nuance of PPC, it is completely worth the minimal cost for this service. You will spend more time (money) figuring out what the platform can do for you when that time is better spent optimizing your spend and producing results for the business. There's not much I dislike. I do think without the consulting I would be slightly frustrated and lost. I think there are some future enhancements needed. One of those being to incorporate A/B testing or Experiments as a function within the platform. Also, I think there is room for improvement on the reporting functions in terms of incorporating historical data and changes as well custom report functionality. The keywords for our industry are not high volume keywords, and conversion and click-thru have been challenging. We are getting closer to our optimum conversion rate and cost per conversion, and I now have easily digestible data that guides those decisions. "Peace of mind for marketers"
Working in a non-profit, our marketing team is constantly switching gears. Wordstream has made our SEO practice so much more efficient, by streamlining the whole process. We just have to login once or twice a week, make sure our campaigns are running effectively, and that's it! Peace of mind for this busy marketer! One challenge for us is as a non-profit we work with a Google grant. Without having two accounts, we can't have some of our campaigns run through the grant, and others run on a different budget. That means we have tight bid-caps we have to work with that aren't always necessary. Start with the trial, and take advantage of the consulting. That service has been invaluable! We have a program that is extremely challenging to generate leads for. We're using Wordstream to help move the needle for that program. It's been helpful in guiding ad generation, and giving us the tools to monitor the success rate. We're still trying to push it further, but every click feels like a win. "Learn to do it Youself!" I honestly don't dislike anything. The monthly cost is not cheap but my ROI is less than 6 months. Well worth the money. I would recommend WordStream to anyone operating a PPC campaign who doesn't consider themselves an expert in the field. If you're interested in learning what works and what doesn't, this is your best option. I have spent years trying to run a PPC through a third party. It was incredibly difficult for me to follow the money and see how much of my dollars were actually being spent advertising my company. The WordStream interface solves that problem. I can see exactly where each of my dollars is being allocated and, more importantly what's working (and what's not). "Great Serivce to Manage Your Ads "
The service Wordstream is providing is completely easy to use. It takes little time to get set up and start working. What I also liked a lot form Wordstream is that the Wordstream team tries their best to help there costumers in anything they need. They are always trying to get feed back in order to improve their services. Wordstream makes everything simpler and cleaner to work with. If you are managing ads this is a must have service. At this point I have not found something that I dislike about Wordstream. As I already said any incovinience you experince or anything you do not understand the Wordstream team helps you. When I was not using Wordstream I had to pay for a service called CallRail and I had to do individual reports for the call ads and my other ads. After getting wordstream I discovered that they had a service for call ads which makes everything easier for the future. "Wordstream Made Google Ads Easy"
I love how simple it is to make changes to our account. Wordstream makes it easy to find data in Google Ads so that we can improve strategy in real time. Our monthly advisor check ins help keep our account growing. I wish that there was a way to see keywords and ads performance in a way that tied the two together. It would be helpful to know for sure that high cost keywords were attributed to high performing ads, or vice versa. If search advertising is new to you or our company, I highly recommend signing up for the Wordstream advisor service. We started from zero with Google Ads and it was a real shot in the dark. Wordstream has taken what was nearly 3 days worth of work each week and brought it down to under a day. "Great product for managing your ads"
Easy to use and the customer service is great. It took very little time to get set up on the platform and get going. The 20 minute work week is very easy to use. It definitely simplifies out the process of managing your ads. The platform recommendations are pretty straightforward but the UI is 1000x better than the UIs Google and Bing provide which makes it a lot easier and faster to work out of. You're able to quickly get in, make some changes, and then upload them with one click which is really nice. Google and Bing I find can be tedious to work through. Site can be a little clunky to use sometimes and a couple of the 20 minute work week items may not seem obvious but their on-boarding team was great and extremely responsive walking me through the process. The sales team is a little aggressive but they work hard to close a deal. It can look expensive upfront but the long term cost savings can become apparent right away depending on your current average keyword costs. Their plans incentivize you to pay the annual fee upfront and they can be worthwhile. We solved how we managed ad spend. We saw increased conversion rates and higher quality users entering our site after using their platform. The platform simplified out our ad management which made things a lot easier for us especially when managing across a couple of accounts. "Easiest money I spend every month"
Just the ease of use and how the platform provides expert, easy to understand guidance on how to improve the performance of your campaigns. As a new user only having used AdWords in the past, this was such a change of pace, for the good. I'm not sure who Google copied when they updated the AdWords dashboard, but I have a sneaky suspicion they were looking at WordStream. Customer service is also great, I live in a country 6 time zones ahead of Boston, my account representative has always gone the extra mile to setup calls, training and feedback sessions. So if you're in another country, there should be no worries about service levels. To list things I dislike would be to gripe over small things that are probably outside of WordStream's control. Small UI fixes, a file size restriction, but, other than that I have absolutely no complaints. If you're looking for a platform that makes setting up and managing AdWords and Facebook campaigns a breeze, gives you relevant advice on how to improve the performance of your campaigns and is budget friendly, WordStream should be your first port of call. We recently launched an online booking portal for our holiday resorts. WordStream was the quickest way for us to get up to speed and drive potential customers to our website, and from our social media sites, drive conversions. It's easy to report on all our activities and integration of the WordStream e-commerce tag was very easy. I can see all my accounts in one window without having to switch back and forth. This simplifies the entire process and gives me more time to analyse the accounts and make the necessary changes. The onboarding process is simple and from beginner to expert the training team give you insights into not only the product but your overall strategy and how best to implement best practice to maximise your value. The thing I like the most about WordStream is how it has made such a daunting task as organising my company's AdWords account into a very simple task. In particular, the 20 Minute Work Week feature has truly simplified the various tasks involved with improving my company's online performance. Rather than spend hours pulling my hair out trying to navigate Google's confusing AdWords interface, WordStream makes everything clear. If you find AdWords daunting, look no further than WordStream. Their support staff are experts who are beyond helpful! It will lighten your workload tenfold - try out the free trial and you won't look back! WordStream has simplified how I use AdWords, BingAds and Facebook Advertising. I can now post new ads in one place for all 3 platforms. I can track what adverts are working best, and where they are working best too! "A great tool for ensuring you use your PPC budget most effectively"
I really enjoy the 1 hour of consulting provided per month. In looking at different topics and best practices in each session, this has really helped me to ramp up my PPC skills and offer more value to my company. The 20 minute workweek also helps to get accustomed to what you should be looking at on a weekly basis. Wordstream has helped us to bring greater efficiency to each of our campaigns, establishing greater structure in terms of bidding per keyword type and putting negative keywords in place to prevent bidding on irrelevant keywords. "Intuative for GoogleAds Novices "
The 20 Minute Work Week is a life and time saver for small businesses. I haven't found something to dislike yet. Go for it! The product is easy to use and very scale-able for business size and needs. We have a small office with limited time and knowledge to devote to GoogleAds and SEO. Wordstream makes managing our account easy, intuitive, and quick. A Wordstream account also comes with amazing, detailed, helpful training by a real person who guides you through everything you need to know about your account and how to manage it... even if you aren't an expert in SEO. Our SEO and GoogleAds numbers are better than ever and we feel like we have the tools we need to manage everything well and in a timely manner. "The Gold Standard in SEM Efficiency "
Removes duplicates: The platform has a tool that enables marketers to easily identify duplicate keywords across campaigns, ad groups, and the account; from there duplicates can be paused in an effort to improve quality scores and account performance. Bid management: WordStream reveals which current keywords can improve campaign performance by increasing and decreasing their bids - updates can be made on the spot. Ad optimizations: WordStream scans paid search accounts to ensure each ad group is using high performing ads. Marketers can quickly create new ads, and pause ads based on the tool's recommendations. Keyword URL updates: Ad extensions support could be better. WordSteam provides recommendations on how to improve some ad extensions; however, Google's newer ad extensions (Structured Snippets) are not supported by the tool. There should also be an easy way to add new keywords to the account and concurrently add custom keyword level "final URLs" to each keyword (this is important for Marketers who use custom tracking parameters at the keyword level). Integrations: Currently, WordStream only integrates with AdWords, Bing, and Facebook - the tool would provide much more value if it integrated with more platforms. WordStream is a little different from the competition. There are much more expensive solutions that manage the account for you with more features (Kenshoo, Marin, etc) and there are cheaper solutions out there that offer some of the features that WordStream provides; however, if a marketer wants to personally manage an account with some aided help than WordStream provides a great, cost-effective solution. We use WordSteam to better manage and optimize our SEM campaigns. Since the tool is meant to primarily improve the efficiency of SEM managers it is not being utilized broadly across our organization. The tool enables me to quickly identify areas in our paid search accounts that need to be optimized (bids, keywords, ads, etc) and improve them on the spot. "Super effective and huge time saver"
Wordstream makes it simple to quickly understand your overall performance - it saves me hours and allows me to just analyze and optimize, rather than constantly dig for what I need or want to see. Wordstream helped to increase our cost efficiency on Google, and has saved me tons of time with the 20 Minute Workweek and just general ease of use when creating ads and managing keywords. "WordStream made my job a lot easier." I like that WordStream saves me so much time. I don't have to spend a ton of time digging through keyword lists and checking what bid worked best for which ad/keyword - this took all the hassle out of it. To be honest, I kind of look forward to the 20-minute work week because it makes optimizing campaigns a lot less troublesome and the user-interface is very easy to work with. The customer service is great, too - Alec Battista has been very helpful whenever I've had a question and he's very timely with his responses. I appreciate that. I've been using WordStream for a couple of months now and I can't say I have any complaints at the moment. I'd highly recommend it just for the fact that whoever is managing your PPC is going to save a bunch of time - and since this also helps manage social media ads, your potential savings are significant. It's definitely cut down on my workload. The New Business element you've recently added has tipped the scales in a couple of situations when our sales team has dealt with potential clients. It's nice to be able to generate a report and give them actual data on how we can make improvements on their campaigns. We've definitely realized the time savings - that's by far the most appreciated benefit so far. "Insightful Strategies powered by Great Service"
The passion of each employee in helping us succeed is what I love the most. I love the fact that each suggestion comes with a reason behind. The rep assigned to me is very knowledgeable in all areas of digital marketing (SEO, email marketing, SEM), which makes his advice a well rounded advice that I can trust. The team is easily reachable at all times, and booking an appointment is easy. The platform is relatively easy to use, and there are tutorials available if needed. Every premium consultation call has been very helpful. The rep gave me screenshots or recordings of our sessions so I can always go back and review them if I had questions after the call. the glitches and errors on the Wordstream Advisor Platform. Sometimes there are sync errors with Google Adwords platform so it delays my work. the support team responds in a timely manner, but the hassle to troubleshoot through it is just extra work and time for me that I would rather not have to go through. they will set you up for success. Specially if you're a small business. Many agencies out there don't know what they're doing nor put the attention needed on your business. But WordStream does give you that attention you need. I am trying to reduce ad spend and get more leads. The benefits so far are getting quality leads and improving our online ads. "WordStream provides us a clear understanding of how we can improve our Adwords experience." I like to be able to see and optimize all campaigns, reports, generic dashboard in a single platform. "20 Minute Work Week" gives me some tips and optimization ideas for our campaigns that we usually wouldn't aware. I also like the consulting meetings we have with WordStream rep. Every meeting, we get new insights that enlighten our aspect. I cannot say that I dislike of anything, but it would be much better if I can also optimize our display campaigns in the "manage campaign" dashboard. If you want to be more productive in search campaigns in several platforms, you would like WordStream as it offers more than you think. Every time I dig into WordStream, I find a different area to improve which overall increases our campaign performance. I realized that I could do more in less time with WordStream dashboard. I can manage both Bing and Adwords in the same place and check out the reporting that includes both platforms. We are actively using WordStream to optimize search campaigns which helps us to improve campaign performance continually. "Great for novice or intermediates"
We had been on Adwords for about 15 months and Bing for about 4 months, and in the first phone call learned enough to justify the first few months of investment. Within 2 months, our "bad searches" that were costing us 80% of our daily budget were down to about 20%. By the third month, we have reduced it to about 10% and have now added our Bing account for the same management. The 20-minute workweek is very helpful. It does sometimes make the same suggestion even though I have told it no. I guess that means I really should do it. The monthly calls are very helpful at direction, and the email and online chat support between calls is good for those issues and questions that come up. Sometimes its hard to get the monthly call scheduled, need to schedule them a bit far out, just causes me to look forward more. Do the trial for 6 months, unless you are an expert and can prove it because you have no bad searches, it will be worth it. We are trying to gain more inquiries and applications, which is what has happened. Our rate of inquiries who found us through internet search is up over 100% from last year, so that is exactly what we wanted. "Wordstream, the Personal Assistant I didn't have to train." This program helps cut down the amount of time in which I spend on my PPC campaigns. When you manage a large account like me, it could literally take days of work to find just duplicate keywords alone. Wordstream is pretty much a PPC campaign personal assistant, that's smarter than you, that you didn't have to train. I really don't dislike anything about Wordstream. It makes my job a lot easier and more efficient. Your account will run more efficiently with WordStream. While you may be highly skilled, nothing beats automation. Take advantage of your training calls once you sign up with WordStream. They are very helpful. Write down any questions you have between calls. They'll be happy to clarify anything you're unsure about. I've cut down on wasted spending since starting with WordStream. If you actually dive into it, it can work with you to make managing your PPC campaigns run a lot better. If you don't like to waste money, get WordStream. As a company with a very limited, very specific audience, with A LOT of search words to describe our software, we have unique challenges with Adwords Campaigns. Our Account Specialist Rebeka has been incredibly helpful getting to understand these challenges and offer solutions that may be different from the standard, but fit with our unique situation. The lack of contract flexibility when we worked through the deal was very frustrating. This is different than the way we do business and it was disappointing to have to work so hard to get additional consultant hours. Helpful software but the best part we have found (so far as we are just a couple months in) is the account rep assigned to help us improve things before we move to the 20 min work week. By allowing our internal staff to focus on what they do best, and let Wordstream improve the efficiency of our ad spend, we are winning on two fronts. "Wordstream may be good for DYI managers but not powerful enough for agency quality mangement"
Simple suggestions that will improve performance for a campaign for the first few months. Missing a lot of key features than any advanced user or agency would need and the cost is about a third of what you might pay to hire an agency to do all the work for you. Some of the features not included that we find essential: 1. Does not use keyword lists in shared libraries. 2. Does not allow editing of shared budgets across multiple campaigns. 3. Does not notice common errors such as double counting in Google's conversion data reporting 4. Does not optimize for impression share which is one of the most important metrics for small campaigns. 5. Does not recommend ads to be expanded unless they are a top performing ad in terms of impressions which unlikely because an old add would naturally underperform. 6. Syncing changes from AdWords to Bing is actually more difficult than using the IMPORT CHANGES tool from Bing. The bottom line is that while WordStream can be valuable for the first few months of a campaign if you are a novice and don't know what the essential optimization process are, it's usefulness over time will fall off tremendously and you may eventually find yourself using the free tools provided by AdWords and Bing to manage your campaigns. For a professional agency, the tool is inadequate unless you are using it to help a lightly trained staff manage hundreds of campaigns and you have negotiated a very good price for the tool. If you are a DYI manager this is a good tool for about 3 to 6 months and then you should be able to manage on your own using free tools. It could be good for the long haul if you just cannot be bothered to learn more about AdWords And Bing Ads (which can be confusing). If you are an agency, you may be better off using free tools from Bing and Google unless you have a large staff with high turnover and just want a tool to manage basic campaigns following the key best practices - but unless your management fees are very high you will find that a substantial amount of your margins will be devoured by WordStream fees. If you are an agency I would advise not locking yourself into a contract until you have demoed the tool fully so that you can experience its limitations. Managing AdWords and Bing Campaigns. The only benefit realized is that after using this Tool and Marin we are very satisfied working with free tools provided by Google and Bing along with our own simple proprietary budgeting tools that work with Google Docs' API. Hi Dave, Thank you for your honest and well-articulated feedback. With WordStream Advisor, we try our best to help simplify digital advertising for agencies and SMBs while still driving great results. Unfortunately that does mean that we can't always prioritize more complicated features. However, some of the things you mentioned like shared library support are in the works! "You Will be charged thousands for no use..."
Beware of this company if you are a small business. They charge you a ridiculous cost, and it is impossible to cancel. They offer no refunds - if you don’t use the software or want to stop, you will still continue to receive $500 bills each month based on “spend” for an account you connected to get one audit for a client. Hi Chris, Sorry to hear of your frustrations regarding our billing practices. We do our best to be very upfront about out commitment lengths and cancellation policies, but it sounds like in your case we could have done better. "Streamline AdWords Optimization & Save Yourself a ton of Time!" I love the campaign builder and ad group builder tools, as well as the workbench and keyword grouper tools. These tools made a account reorganization so much faster and easier. I've found myself taking over old AdWords accounts and needing to restructure them on several occasions. Wordstream is a huge help when undertaking those projects. Wordstream also makes it easier to manage campaigns across platforms. For instance you can manage your AdWords, Bing, and Facebook ads all in one location. I dislike not having more flexibility with time-frames when viewing reports within the interface. I'm also wish there were more flexibility in the landing page tools to create pages without registration forms. I recommend trying it out so see if it fits your needs. The support team is awesome and they are always willing to help you through any issues that pop up for you. I am primarily using Wordstream to streamline optimization of paid search campaigns. It's a lot friendlier than AdWords Editor and the new AdWords interface so you are able to pinpoint problems quickly and make optimizations without leaving the platform. It also works with Bing if you are so inclined. It helped us expand out account quickly. Wordstream also helps save time with campaign setup and restructuring if you ever find yourself in a situation where you need to overhaul an account. My manager also loved it because he could log in and get a quick understanding of what was working and what wasn't without needing to know the ins and outs of paid search. As the primary person running all Adwords for our agency, I really appreciate that I can create multiple campaigns, ad groups, and ads with minimal effort. I can't say enough about how being able to pull up other ads I've already created and duplicate them with a few tweaks has reduced my time spent creating ads. I am also able to make bulk edits that save me significant amounts of time. I am able to quickly change out landing page links, and much more! I have been able to spend a lot more time cultivating new clients and increasing our customer base and revenue because of WordStream. The tech team customer support has been a little lacking. If you are debating whether it's worth the value... It is. I've already gained additional clients due to the tools, support, and confidence in our ability to produce leads for our clients. I love that WordStream provides reporting in such a great easy to follow manner, and in 3 months I've already improved so much for my accounts through WordStream. Because of the awesome Best Practice indicators, the suggested negative keywords, and bid optimization suggestions, I've greatly improved my client's accounts over a short period of time. I was also able to gain a new client last month because I was able to run the previous year's report and show him why Adwords had failed in the past. "Deceptive "free trial" is a bait and switch. Don't waste your time." I was recently baited into trial a free 7 day trial of WordStream. It is not a free trial. It is a "read only" feature even as it functions completely as though it is an actual trial - none of the work you do in the free trial will be implemented unless you become a paying subscriber. But they don't tell you that upfront, instead they waste your time. It appears to be a fully functioning trial, enabling you to connect both google adwords and facebook ad accounts, and give feedback on changes you could make to optimize your ads and even create new ones. This seemed like a great solution for having all my ads managed in one place. So much so, I spend hours making changes and creating new ads with wordstream. And I was excited by their service. That was until, after saving all the changes and seeing that the changes were not yet posting to my google ads account i contacted customer service to ask - how long does it take for the changes to be implemented? At that point customer service tells me the changes wont be made unless you join our subscription service. This is a "read only" trial. Its not actually functioning. In my opinion this was intentionally deceptive by means of omission to explain that their "free trial" was not in fact a full functioning version of their software but instead just a "read only" preview. They could have easily communicated this by not allowing you to save changes unless you were a paying subscriber or simply calling it what it is - a read only preview. IT IS NOT A FREE TRIAL. Software like this is much needed so they are onto something here. However, just be aware that any work you do during the free trial will not be implemented unless you become an actual subscriber. Don't waste your time like I did thinking it was an actual trial. It is READ ONLY, so have a look around and play around but just know the work wont be implemented. So there is actually no way to try this software in action and see the changes made on your ads in any kind of trial format. Also their monthly fees START at $299 a month. Not feasible for a small business like mine just starting to grow. Be honest about your free trial and make it an actual free trial. No better way to get me to pay for a services than for me to start seeing conversions based on the help of using your service during a real free trial. Hi Kristina, Apologies if you felt deceived by our free trial. You are correct in stating that our trial is read only. There are two reason we do this. We save changes is so that if a trial user becomes a customer, we don't want them to lose all of their hard work! We also want to make sure trial users feel comfortable trying all parts of the tool without worrying about how it might affect their account. There is currently a yellow banner at the top of every trial explaining that changes will not go live until you upgrade to a customer subscription, but if your didn't notice it, others might not either! I will share this feedback with our UX team. Thanks! "Wordstream Advisor Is The Best PPC Helper I've Found"
The 20-Minute Work Week (20MWW) is great. I was initially skeptical, but found that I really can go through all the suggestions in 20-30 minutes. The 20MWW is first of all a weekly reminder that Adwords and Bing Ads need regular attention. Second, going through the suggestions each week performs helpful maintenance on aspects of my campaigns that would otherwise impact cost and effectiveness. Third, in going through the suggestions of the 20MWW I see other things in my campaigns and ad groups that could use attention. As much as possible, I try to make those adjustments immediately after completing the 20MWW. Within the 20MWW, I like the negative keyword suggestions best. Even though my products and industry are highly technical, I find that most of the negative keyword suggestions are good. At the moment, I dislike that there was not enough space to describe all the things I like about the 20MWW. Within the 20MWW, I find the keyword suggestions to be the least useful. Perhaps it's a function of the technical terminology or the cryptic names and model numbers of our products, but I almost never accept the keyword suggestions. Accept all the live online trainings that are offered. Use the chat feature or email when you need help. Ask for additional training sessions if you need them. Give feedback -- Wordstream wants to make the app better and my experience is that they are listening. Before deciding to try Advisor, I was getting help from an outside PPC consultant and using a different online PPC management helper. The consultant had the PPC expertise, but he did not know our industry. He couldn't write our ads or pick our keywords or negative keywords with any consistency. The other online helper was OK, but does not compare well to Advisor. In dropping the consultant and the other app and using Advisor, I cut our PPC management costs by about 70%. The regular addition of negative keywords cuts down on wasted spend and help me keep revenue above $10 per $1 of ad spend. The other aspect of the 20MWW that helps make our search advertising more productive are the suggestions about writing additional ads or rewriting less productive ads. The ad composition page in Advisor lists best practices in ad writing. As you compose your ad, Advisor puts a check mark by each of the best practice items you've achieved. It's a simple thing, but it's very helpful -- and it's motivating. When you have many hundreds of products, keywords, and ads to build and maintain, you can use some extra motivation here and there. Advisor lets me divide and conquer by taking a weekly bite out of my search advertising management problem. * We monitor all WordStream reviews to prevent fraudulent reviews and keep review quality high. We do not post reviews by company employees or direct competitors. Validated reviews require the user to submit a screenshot of the product containing their user ID, in order to verify a user is an actual user of the product. Hi there! Are you looking to implement a solution like WordStream?